Most spying apps don’t work these days as they have to and Hoverwatch ain’t among them. In this Hoverwatch Review, you’ll know how legit it is? In this review, I’m not going to explain the app’s version on Desktop platforms as it works as regular keylogger on desktop platforms. We would like to concentrate and explain how the Hoverwatch tracker works when installed on Android devices. Note: You need a working Internet Connection for this app to work and You need physical access to the device you want to track at least at the time of attempting the installation on it. You can get recording of the outgoing and incoming calls and can be accessed on the dashboard on their website after logging in using your credentials. So tracking WhatsApp as well as Facebook messages are critical and this app does that flawlessly staying hidden all the time. The app takes advantage of both GPS as well as WiFi to provide precise tracking info on a clear map view. Stealth mode is activated right after the installation of the Hoverwatch Tracker is done, Stealth mode is basically being hidden from the user that his/her Android device is being tracked. Also, let me know if you need any info regarding the app, You can use the comments section down below to post your queries. Description: Most spying apps don't work these days as they have to and Hoverwatch ain't among them. 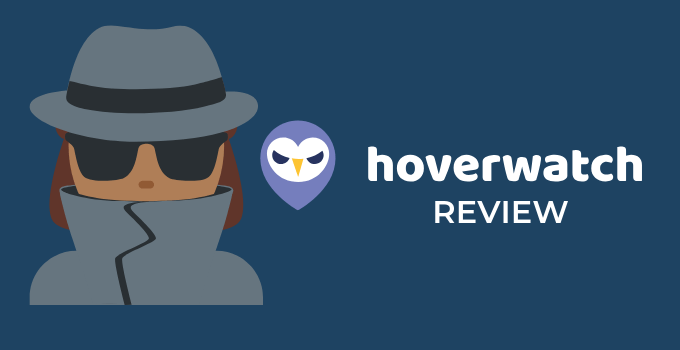 In this Hoverwatch Review, you'll know how legit it is?